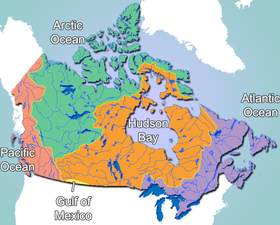 ^ Atlas of Canada. 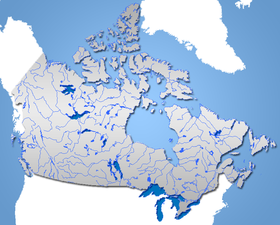 "Rivers in Canada". Archived from the original on 4 April 2007. Retrieved 2007-05-01. ^ Ayers, H.D. "Drainage Basin". www.thecanadianencyclopedia.com. Retrieved 2008-02-21.